Meet Our Chicago Family and Cosmetic Dentist Dr. Richard I. Kaufman. A past professor and graduate of the University of Illinois College of General Dentistry. 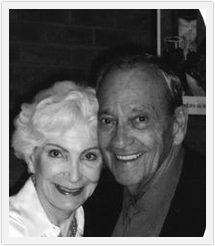 Dr. Kaufman made Hyde Park his home over fifty years ago and never stopped serving and contributing to the community. He brings with him high standards of care. The practice grew from a one chair office to a seven chair office. He is a true professional that shows compassion and care with all his patients. He is pictured here with his wife.